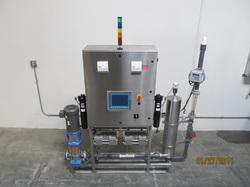 Aquentium is a premier provider of sanitation and water treatment equipment for the healthcare, hotel, restaurant, education, and food or beverage processing industries. Aquentium designs, engineers and manufactures innovative technology, equipment, and services to our customers. Our vision is to help provide the highest level of health and safety standards worldwide without the use of toxic chemicals. Aquentium is uniquely positioned to provide better living conditions for those individuals or governments seeking low income housing or for those devastated by a disaster or emergency. Our two primary markets are the low cost, mass-housing market and the temporary housing/disaster relief market. Aquentium has developed a unique solution that will fulfill the housing needs for people around the world that have been struck by disastrous conditions or simply need a better living condition. Using new or decommissioned standard shipping containers and Aquentium's Structural Insulated Panels (SIPs), Aquentium has created a process that effectively transforms a 20 or 40 foot shipping unit into a rapidly deployable, expandable, and versatile shelter / home. Our housing structures are unique in the way that once they are deployed, the container unfolds and creates an expanded living and operating space that is three times larger than the container itself. 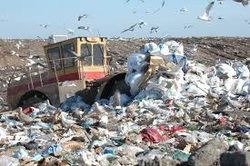 Once the structure has fulfilled its need in once location, it can be folded back in and transported to another location. The housing unit is designed to accommodate not only housing applications but can also be offered as shelter for services such as deployable hospitals, stores, food commissaries, and a variety of other applications. 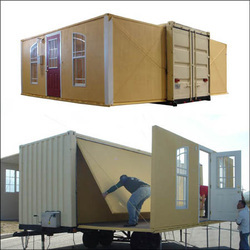 Since the housing unit is developed from an industry standard shipping container, it can be quickly transported to distant areas in times of need. The unit stacks seamlessly with other containers on transport ships, and can be easily placed onto truck transports. Our disaster relief housing solution allows Aquentium a unique opportunity to explore a largely untapped market and bring relief to victims of unfortunate events worldwide. Aquentium hopes to bestow aid onto those who have been struck by disaster. For more information, please e-mail info@aquentium.com. A SIP (Structural Insulated Panel) is a value-added pre-fabricated building panel that incorporates the structure, insulation and sheathing all combined to reduce the labor and number of steps in a building envelope. 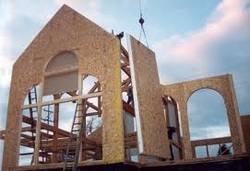 OSB laminated to an EPS insulation core. Installation instructions (SIP panel layouts), and installation guide. Option to receive "site advisory service" to assist in your installation. "Ready to Assemble" (RTA) option – The Aquentium SIP System is a ready-to-assemble (RTA) system option that gives builders a real competitive edge over traditional stick frame construction. The RTA process reduces construction time and improves efficiency. Aquentium SIPs are manufactured to your exact specifications, then delivered to your location as a ready-to-assemble building system. The solar industry will continue to grow rapidly as stated in the latest Short Term Energy Outlook recently released by the Energy Information Administration of the Department of Energy. 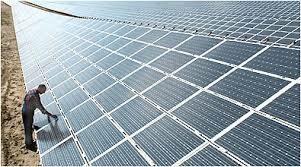 Solar farms generate clean renewable energy without the environmental or health risks of fossil fueled power plants. This means “power without pollution.” Solar panels are made up of solar cells which are semiconductor devices that directly convert sunlight into electricity in the form of direct current (DC). Solar cells are connected together and encapsulated in a weatherproof light absorbing (non reflective) package to form a solar panel. Solar panels are tied together and connected to inverters which transform DC, the electricity produced by solar panels, into a more common form of electricity, alternating current (AC), which is used in our homes.